Falling for Her Captor has been out for a month now and I’d like to say a huge than you to everyone who has taken the time to review or let me know what you think if the book. It’s been a busy month with guest blog posts, interviews and trying to keep on top of reviews and suchlike. I finally feel like I’m coming up for air. I told myself I wouldn’t read reviews but I couldn’t resist in the end and I’m ecstatic to say that almost all the ones I’ve found (Amazon and Goodreads) have been amazingly positive. Comments such as ‘I thought i would just read the first chapter before bed at 10:30 last night… 3:00 in the morning i finished it!‘ and ‘kept me gripped right til the end and I really cared about the main characters…I’d love to know what happened after the last chapter for Aline and Hugh.‘ and ‘A feisty heroine, a drop-dead gorgeous hero, a nastier-than-real-life villain, and sweeping scenery make this a must-read for all historical romance readers‘ are a joy to read. If reviews are the author’s Performance Management then I think I’m doing ok.
It’s such a thrill to know people like the story and characters. If you’ve spotted a review somewhere else please link me to it. Tomorrow I’ll be taking part in The historical Romance Network’s Fall Back in Time event on Twitter https://www.facebook.com/events/512905705479257/?ref_dashboard_filter=upcoming and posting a pic of me with the first Historical I read (and maybe a couple of other favourites for good measure). Why not join in the fun and tweet a selfie of yourself reading historical fiction using the hashtag #fallbackintime and maybe win one of the great prizes offered by authors taking part. I’ll also be working hard on revisions to get my second manuscript back to my editor within the next couple of weeks. NaNoWriMo starts tomorrow of course. Last year I wrote the first two chapters of manuscript 2 then got caught up in SYTYCW and revisions of FFHC so it took a lot longer before I picked the story up again. I’ve started on my third story and hopefully I’ll get time to get a little further with that. Right now though the kids are in bed after a fun evening trick or treating, I’ve just finished a large glass of ginger beer (alcoholic of course) and there’s a bubble bath with my name on it. Back long before I ever thought I’d get published I made a Facebook page for the book and amused myself by deciding who I would like to play the parts. For a bit of a distraction on a wet, gloomy Sunday afternoon here is the album. Hugh alternates between being Richard Armitage and Tom Ellis depending on my mood. Henry Cavill was always the bad guy though, I think it’s that stare that does it. If you’ve read the book I’d be interested to see what you think of the choices. Who else did you have in mind when you read it? I’d love to hear! Falling for Her Captor has been out for two weeks now and has already received some lovely reviews so I decided I’d celebrate with an excerpt. It was late before the Duke allowed Aline to return to her chamber. In a daze she barely registered the fact that the door was unguarded and unlocked. Walking into the room, she stopped in shock. Seated in her chair, silhouetted in the light of the dying fire, was a figure. Her hands flew to her mouth to stifle her cry of alarm and at the sound the intruder looked up. ‘What are you doing here?’ Aline demanded. Her heart thumped in her chest. Her eyes slipped to the curtained bed and she felt heat rising to her cheeks and throat as images crossed her mind that she knew were utterly inappropriate. Hugh rose from the chair. At some point he had removed his coat. The flickering light of the fire caused interesting shadows to move across his chest, where his shirt lay open. ‘But why are you here?’ Aline asked. Hugh’s eyebrows shot up in surprise. ‘After this afternoon, where else could I be? I needed to see how you fared.’ He brushed back a stray lock of hair that had fallen across his eyes and fixed Aline with a look that sent shivers through her. ‘I had come to bid you goodbye,’ he whispered gruffly. ‘Had come?’ Aline asked, her heart missing a beat at his words. He took her hands, pulling her closer, and Aline felt the enticing warmth of his body. ‘What do you want of me, Aline?’ he asked, flinging his arms wide in exasperation. She recoiled at the anger in his voice and shook her head, momentarily lost for words. ‘How else do you want to wound me?’ Hugh asked, his voice gentler now but full of pain. ‘I…I’m sorry… I didn’t mean… I only meant…’ Aline stopped, her eyes brimming with tears. Hugh reached his hand to her face but stopped short of touching her. Aline raised her face and closed her eyes. ‘Because marriage to him might have been bearable if I had never known you,’ Aline whispered, her voice trembling. At her words a hot burst of passion raced through Hugh and he could restrain himself no longer. With a fervour that took him by surprise he pulled Aline close, his strong arms imprisoning her, one hand encircling her slender waist, the other across her back as he buried his face deep in her hair. Aline leaned her head against Hugh’s chest with a soft sigh. Her arms found their way around his waist, pulling him closer as her breaths came deep and fast. He pulled her tighter until he could feel every contour of her body. She melted against him as if she was wax, her fingers sliding up to his jaw, brushing against his beard, and he gave an involuntary moan of desire, his lips parting in anticipation. At the sound Aline froze, her arms dropping to her sides. Hugh opened his eyes in surprise. Aline’s eyes were closed and tears glinted on her long lashes, coursed down her pale cheeks. Aline looked deep into Hugh’s eyes and he saw the anguish mirroring her own. Hugh nodded. He turned on his heel and left, closing the door softly. Through the heavy wood he could hear Aline’s sobs as they grew thicker and faster. He stood there, for how long he could not say, his forehead and hands pressed against the door, sharing in her grief until no further sounds came from the room. Then, with strength of will he had not known he possessed, he walked away. Amazon delivery issues and alternative places to buy – a story with a moral! An update on this post. Apparently Amazon had a slight hitch with the ordering data so didn’t order enough copies (I guess that means Richard Armitage didn’t buy them all up after all). They have now resolved this so should be able to dispatch copies soon. Thank you to everyone who has been patiently waiting to read it. I hope you think it’s worth the wait! Fortunately there are some online sellers that have copies available. The Hive in particular is great as they give a percentage of the sale to local and independent bookshops. This is fabulous as we all need local bookshops and they probably pay tax. So, huge online retailer with dodgy tax issues 0. Indie sellers 1. I think we can all learn something there. I’ve been featured on a few blogs over the past couple of weeks and have finally got round to collating them (now I can breath after publication date has passed). Today I’m on Unusual Historicals. http://unusualhistoricals.blogspot.co.uk There’s a giveaway for readers in the US who leave comments so pop over and have a look and going back further there is an excerpt http://unusualhistoricals.blogspot.co.uk/2014/10/excerpt-thursday-falling-for-her-captor.html (giveaway still applies). 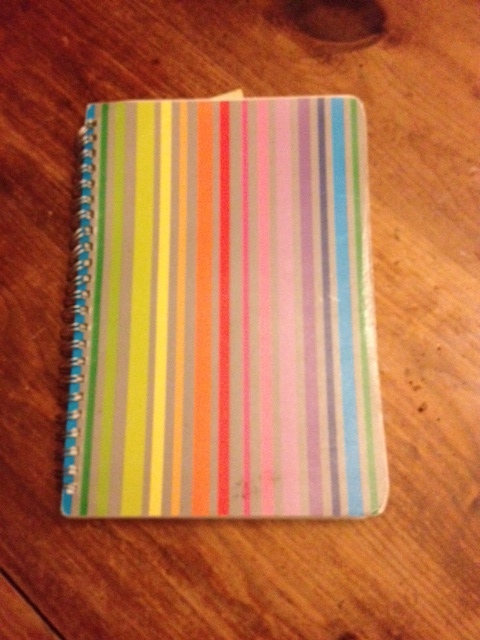 Since entering ‘So You Think You Can Write’ last year I’ve been lucky to get to know some fabulous writers and I’d like to share some of their stories with you. Rachael Thomas was one of the Top 10 finalists in So You Think You Can Write 2013. 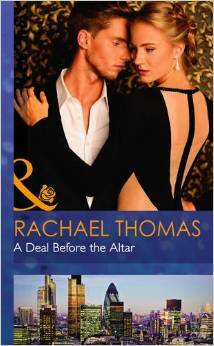 Her debut novel ‘A Deal Before the Altar’ will be released in on October 1st in the Harlequin Presents imprint. Hi Rachael, first I’d like to congratulate you on your success in So You Think You Can Write. I loved your entry and can’t wait to read the book! Do you have actors/celebrities in mind when you write your characters? I always have a visual reference of my characters and once I ‘see’ them in my mind I go in search of the perfect picture of actors or celebrities to adorn my writing room wall. Did you know how the book was going to end when you started writing it? Obviously I knew the ending was going to be the ‘happy-ever-after’ Harlequin Presents are famous for, but I didn’t know exactly how my characters would arrive at that point. It’s such fun seeing it evolve on the page as I write. I have just started a brand new story and am really excited about where it is going to take me and getting to know my new characters Nikos and Serena. Where were you when you got the call and how did you celebrate? When I go the call, it was a wild and windy day and I was about to meet a writing friend for lunch. As I was all but blown along the street, my phone rang and I couldn’t believe it when it was an editor from Mills and Boon. I’d just sent revisions of my competition story in and thought the call may be to discuss those, so was really taken aback when she told me they’d like to buy my book! After that, my friend and I had lunch, but we were so excited anyone else in the small seaside restaurant must have thought we were mad. I had so many messages on my phone the battery gave up in protest, so when I did get home I had lots of text messages, tweets and Facebook messages to catch up on and of course I opened a bottle of champagne! Which period in history would you most like to visit? I love history and have spent many happy hours in grand houses and castles. Despite the luxury of stately homes, it’s the lure of history within the thick castle walls which forever draw me. If I had to pick one period in history it would be the Tudor years. Is there a song or image that sums up your characters or plot? I don’t think there is one single song or image that would do that. I have lots of images on my wall and different songs will represent different parts of the story. Rachael, thanks for talking to me and good luck with your next project. Thanks Elisabeth for inviting me here and for such great questions. Two signed copies of Falling for Her Captor are up for grabs on Goodreads for UK, NA, Canada, Australia, New Zealand and Europe. Why not pop over and see if you get lucky.